If electric scooters haven’t made it to your neighborhood yet, don’t worry -- the ER doctors at your local hospital already know more than they’d like to about them. The Washington Post reported Monday that emergency room physicians are doing their best to stay on top of a trend that many of their peers qualify as an emerging public safety crisis. The first scooter-related death has already been registered and the University of Utah Health says it has seen a 161 percent increase in the number of scooter-related ER visits over a year ago. It’s not just broken bones that emergency rooms are seeing, either. Traumatic brain injuries and internal bleeding are also on the injury list. In one situation, a 20-year-old man in Washington D.C. was hit by an SUV while riding a Lime scooter, then dragged some 20 yards while pinned under the vehicle. It’s debatable whether scooter riders understand that a top speed of 15 mph still packs a wallop whether it’s hitting something or someone or being hit by another vehicle. “What I think bothers a lot of us as trauma surgeons is that we’re seeing injuries that are completely against decades of injury prevention -- alcohol intoxication, no helmets, people that don’t know how to ride these vehicles in the first place," Dr. Vishal Bansal, Chief of Trauma Surgery at San Diego’s Scripps Mercy Hospital, told 10News, an ABC affiliate in San Diego. Like its predecessor, the Segway, electric scooters are sparking controversy everywhere they turn up. The biggest rub with electric scooters is the “dockless” angle -- meaning that the scooters do not have a fixed home location and are dropped off and picked up from arbitrary locations in the service area. Whenever and wherever might seem like a convenient mobility option for first-/last-mile mobility in urban areas, but it’s a headache for local governments and an eyesore for residents. Less than two days after the Bird scooters hit the streets of Louisville, the local government yanked them off until it could get a better grip on how to safely integrate and regulate them. In Dallas, city fathers laid down laws meant to limit bike littering and raise money for the city, but most of the scooter companies didn’t like what they saw, pulled up stakes, and left town. If you search for “electric scooter” on Amazon, you’ll find a countless number listed. It’s a safe bet that your financial planner is aware of scooter madness, too. 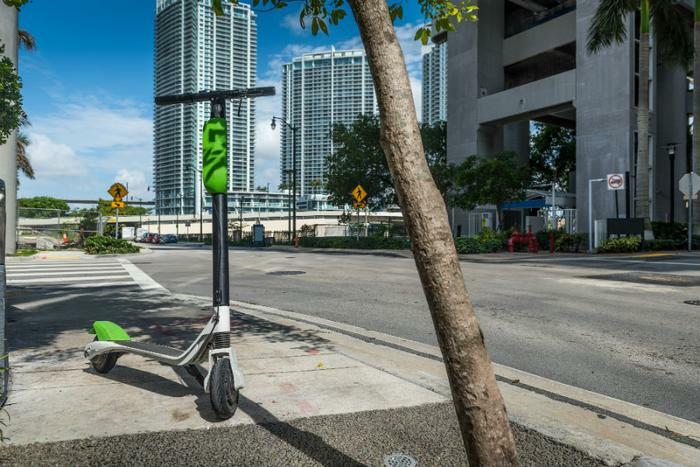 Statista reports that the four major scooter companies -- Lime, Bird, Skip, and Spin -- have raised $924 million in venture capital funding, and no doubt want to see their investment prove fruitful. Even Lyft and Uber have jumped into the scooter game. If an electric scooter is on someone’s wish list, there are several things to consider -- chief among those is safety. “We’re seeing accident potential rise out of unsafe use more than anything,” said Catherine Lerer, an attorney for McGee-Lerer, in comments to ConsumerAffairs.